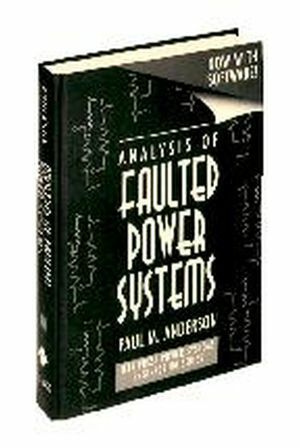 Analyzes the dynamic performance of interconnected power systems. * Examines the characteristics of the various components of a power system during normal operating conditions and during disturbances. * Explores the detailed mathematical models of system components and analyzes the system behavior using the necessary computational tools. PAUL M. ANDERSON has over forty years of experience in power system engineering and research, power education, technical writing, and research management. His areas of interest are power system analysis, computer applications, and system dynamic performance. Currently a consultant, Dr. Anderson served as a professor of engineering at Iowa State University, Arizona State University, and Washington State University, where he was the Schweitzer Visiting Professor. A. A. Fouad is Distinguished Professor Emeritus of Engineering at Iowa State University. He has had more than 40 years experience in power system dynamics in teaching, research, and in industry. He is a fellow of IEEE, and is the recipient of the 1993 IEEE Power Engineering Educator Award, and the 1994 IEEE Herman Halperin Transmission and Distribution Award. In 1996 he was elected to membership of the US National Academy of Engineering. 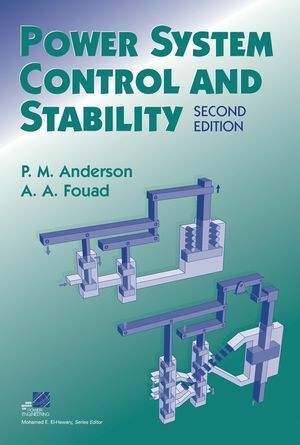 Chapter 1: Power System Stability. Chapter 2: The Elementary Mathematical Model. Chapter 3: System Response to Small Disturbances. Part II: The Electromagnetic Torque. Chapter 4: The Synchronous Machine. Chapter 5: The Simulation of Synchronous Machines. Chapter 6: Linear Models of the Synchronous Machine. Chapter 8: Effect of Excitation on Stability. Chapter 9: Multimachine Systems with Constant Impedance Loads. Part III: The Mechanical Torque Power System Control and Stability. Chapter 11: Steam Turbine Prime Movers. Chapter 12: Hydraulic Turbine Prime Movers. Chapter 13: Combustion Turbine and Combined-Cycle Power Plants. Appendix A: Trigonometric Identities for Three-Phase Systems. Appendix B: Some Computer Methods for Solving Differential Equations. Appendix D: Typical System Data. Appendix E: Excitation Control System Definitions. Appendix F: Control System Components. Appendix G: Pressure Control Systems. Appendix H: The Governor Equations. Appendix I: Wave Equations for a Hydraulic Conduit.